i was watching a doccumentary on the discovery channel a very long time ago and i think these pictures came up or something about it. but from what i know only 2 were built but one of them wasnt properly built and they never saw action. and from what i might know, not sure, these pictures were something to do with america and m4 shermans and a road. but im not sure, so thats why im asking if you guys know about it. im also surprised at how big this tank really was. The working Maus prototypes remained at Kummersdorf and at the proving grounds in Böblingen. 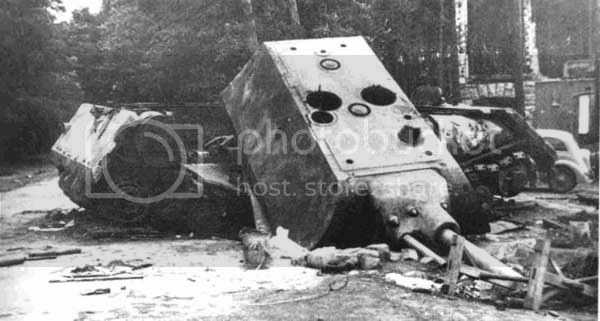 In the last weeks of the war the V1 with the dummy turret was captured by the advancing Soviet forces in the vicinity of the western batteries of the Kummersdorf artillery firing grounds. It had been thought to be mechanically sabotaged by the Germans before abandoning it. Some sources state that the Panzerkampfwagen VIII saw combat while defending the facility at Kummersdorf, although the popular version is that it did not. 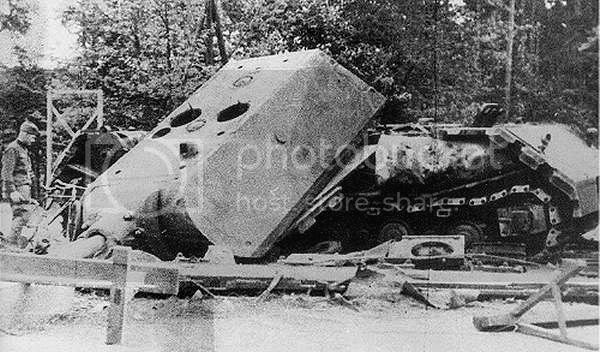 The Soviet Commander of Armored and Mechanized troops ordered the hull of V1 to be mated with the turret of V2. The Soviets used six German FAMO-built 18t German half-tracks, the largest half-track vehicles that Germany built in the war years, to pull the 55 ton turret off the burnt-out hull. 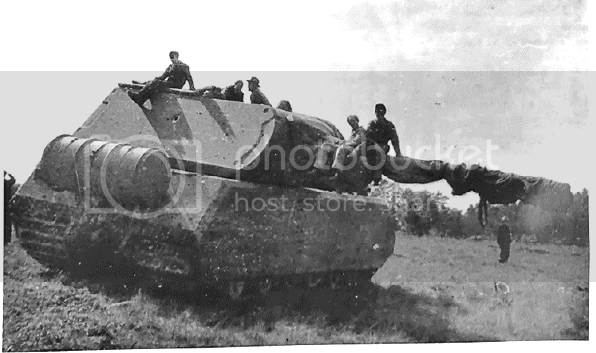 The combined V1 hull/V2 turret vehicle was completed in Germany and sent back to the USSR for further testing. It arrived there on May 4, 1946. When further testing was completed the vehicle was taken over by the Kubinka Tank Museum for storage where it is now on display. Edited by slowcow, 12 March 2013 - 01:54 AM. Wow, they actually managed to build such a monstrosity. Incredible.